Today we’re excited to introduce you to Manifold 2.0. 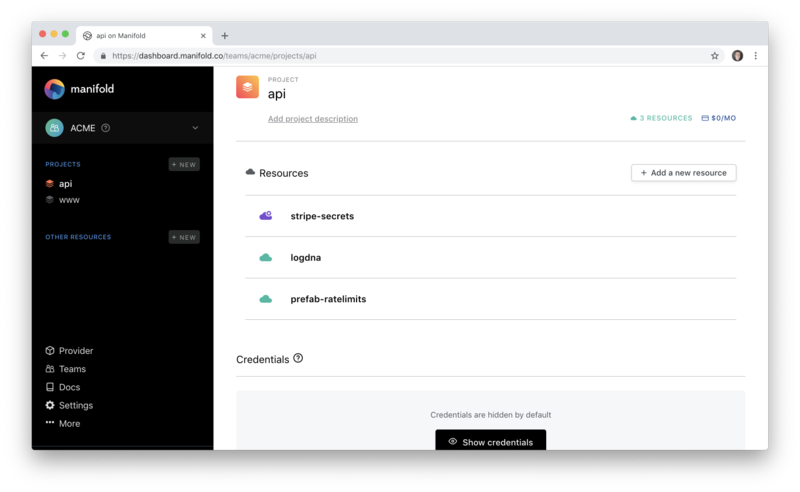 3x the services, an all-new discovery experience, dashboard refresh and a streamlined developer experience make Manifold the easiest way to build cloud native applications. You can explore all the new features here, or read-on for an accelerated introduction. The ecosystem of managed developer tools and services is growing, fast — Gartner predicts global IaaS revenue to grow by 35% this year alone! With more than 3x the services on Manifold to choose from, there’s always something new and exciting to try. 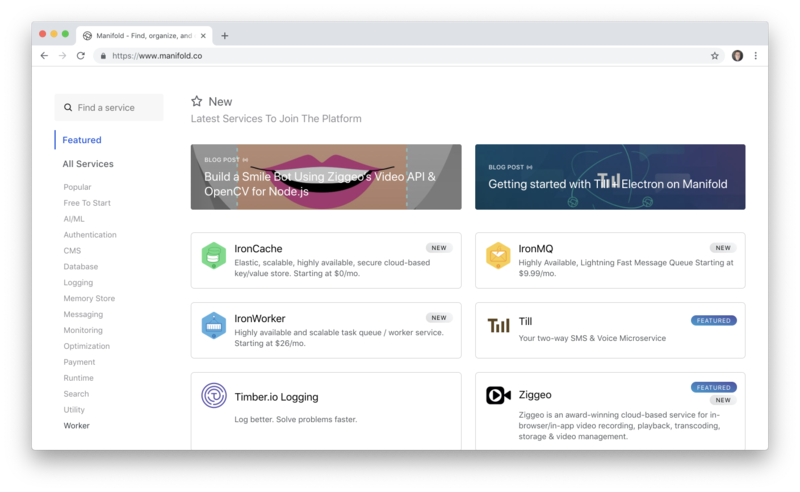 Maybe it will inspire you to introduce an entirely new feature, save you time, make your application more performant or reliable— the challenge is keeping up. That’s why we’re working to revolutionize how you discover, explore and experiment with services. It starts with a brand new discovery experience on Manifold’s homepage. There you’ll find services bundled into collections and supported by patterns, tutorials and stories because your search doesn’t end when you find a new service. You need to understand what the service does, how it works and how to integrate it. Patterns use the familiar design pattern format to show you the concepts you’ll need to understand to take full-advantage of a service. Tutorials give you a consistent, high-quality introduction. Stories take you beyond the product and introduces you to the people that operate the services themselves. The Manifold dashboard has been completely redesigned and rebuilt for speed. With the addition of Manifold Teams, we’ve added a new sidebar to help you organize your projects and change contexts with ease. Start building your application with Manifold and save time integrating and deploying cloud native applications.